Therefore, to be accurate in consumer direct marketing, to be called a "consumer" the distributor is required to buy the product for their own personal use. Signs and Billboards and Bus Benches: Basically anywhere you put your name in front of people you are probably using some form of direct consumer marketing. Business cards are also included. 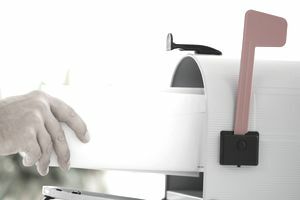 Direct Mail: This is what most people think of when you mention direct marketing - those coupons that come in the paper, in bunches with other business' coupons in envelopes are that magically arrive on your doorstep, handle, or shoved into your mailbox are all forms of direct consumer marketing. Print Campaign Materials: You often see these in certain types of doctors' offices for drugs and services or even products the doctor sales (i.e., supplements and beauty creams). These are materials such as information pamphlets that are passed out or made available for people to pick up on their own. Your Website and Social Networks: You might not see your website as a form of direct consumer marketing but it is and so are all your social networks. Once people come to you, you have them right in "front" of you and a good opportunity to help them get to know your business better. Emails and Texts: Mobile marketing is here and it is without a doubt one of the most powerful direct marketing platforms today. Local markets are a great way to take advantage of direct marketing because you live and work within your own community and may already have a feel for areas where you could (or should) step up your marketing efforts to, and areas that may be a waste of your advertising dollars. When serving a local market in which you live you may also have the benefit of using a local printer or marketing firm so you will have better access to your vendors and control over your final product. Flyers and coupons can be sent in the mail, but could also be placed on the windshields of cars, handed out to people, or even tacked to bulletin boards. Even the simple act of leaving your business card with someone is a form of direct marketing. In other words, every business owner could benefit from at least some sort of direct marketing. In its purest, walking around and telling people about your business is another form of direct marketing. It pays to remember that when you are representing your business to others in any face-to-face situation or talking with them directly, you have a great opportunity right then and there to practice your own consumer direct marketing without it costing you a cent.